Orange is my least favourite colour of all time. I can’t stand it. I will reject items that are orange just because of the colour. Sets of multicoloured interlocking plastic rings designed to hold toys on to the pram have the orange rings removed and discarded. That’s how much I hate orange. Benedict quite likes orange things. 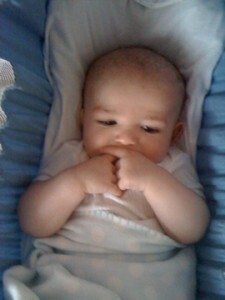 Orange stacking ring from the set is his favourite. The orange one of the stacking bath toys is of course, his favourite. Mostly this doesn’t matter. The new phase of eating is going well. 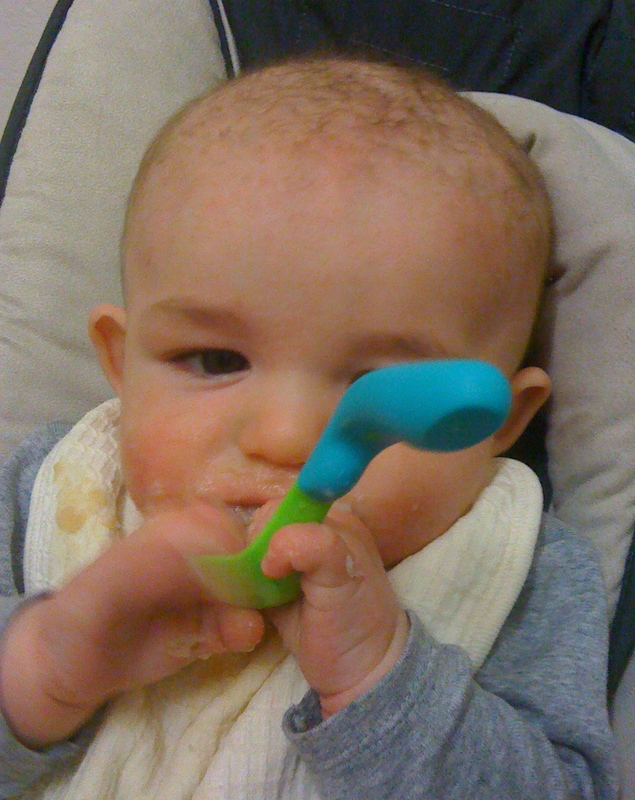 Benedict is enjoying a range of food, baby porridge, farex, apple puree, pear puree, pumpkin, sweet potato, carrots. Lots and lots of orange vegetables. It seems most things that puree well are orange. Even commercial baby food is predominantly orange. Orange things are nutritious. No doubt. Some orange food is delicious. But an orange food is very very difficult to get out of fabric. At the beginning of the new phase of eating Benedict was happy just to open his mouth and let the food come in. Then he decided one day last week that he would only eat if he could hold the spoon. When I say hold I mean have complete control of the eating experience. This new-found independence is a fantastic accomplishment. A sign of a strong mind. It also means what last week took 15 minutes now takes up to 30. It also results in a thin film of orange over every surface Benedict’s hands come into contact with. This thin film covers him: his hands, his face, his hair, his bib, his clothes, the face washer, my hands, sometimes my hair, the chair and the table. That’s a lot of orange everywhere! And a lot of washing and soaking of orange food stained clothes. When I was still pregnant and thinking about being on leave I made some plans. Not plans about being a mother but rather plans for what I would do. Emphasis on the I. Like any chance to change the way you do things that has a lead in time, I planned some of the things I wanted to do and achieve during this life changing experience. Other than have my life changed, of course. 1. Starting at the National Gallery and spiraling out, see the galleries of Canberra – all of them. Total number of gallery visits – 3. Number of galleries visited – 2. Hmmm. I did however experience the great masters from the Musée d’Orsay with Robert and without queuing. 2. Try not to eat like it’s going out of style so I can go back to work looking better than when I got pregnant. Afternoon tea anyone? Toast in the middle of the night anyone? Oh look my fridge has six (count them) types of cheese in it as we speak. 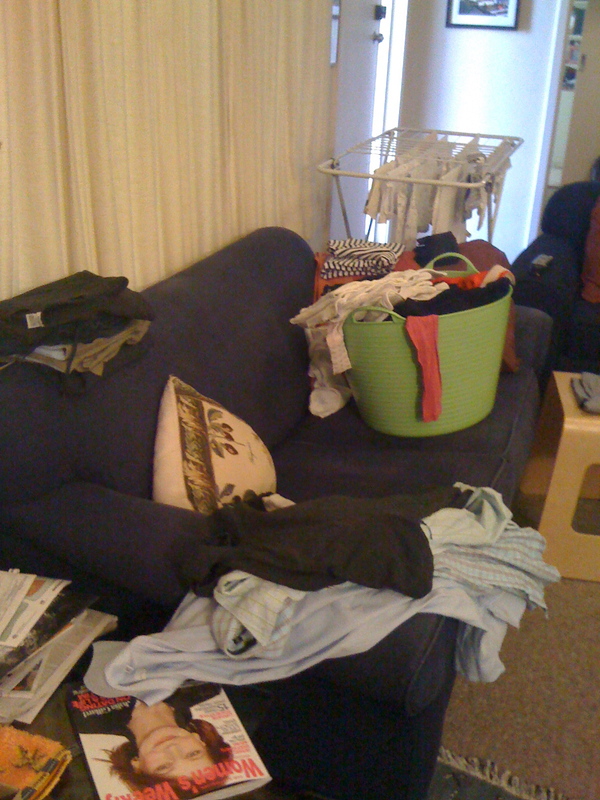 Tidy house worked for a while till my arm started to hurt. So it is tidy but not exactly clean. I am allowed to do a bit of fey dusting and wiping. Garden? Well I planted some rocket and spinach and I planted out two lots of flower seedlings for our seasonal display. But as for a huge vegetable garden – well not really. I did however sort out the compost. Well in my defense – Parliamentary Question Time and In the night garden – 5-30 to 6pm, a blissful thirty minutes of happy calm and distracted infant. See entry on this point ‘The New Yorkers are piling up’ with the pile piling up. It’s still piling up. Moderate success. I have made several batches of biscuits for mothers’ group, a few cakes, lots of middle of road dinner and even some good ones. There were more crazy plans and expectations. Mothering is a tremendous freedom from the usual constraints of one’s life. It is coupled with meeting the demands of someone whose needs know no temporal, physical, emotional or mental bounds or limits. Everyday I try to do my best. 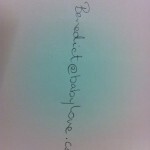 After Benedict was born Robert and I composed a nice email to send around complete with photos. Of course before we did this – have Benedict I mean – we should have made a consolidated list. We didn’t. So we scrambled around trying in our ‘we just had a baby’ fog to remember everyone and their addresses. While we were doing all this, I set up Robert’s new email account. At the same time we made one for Benedict. It’s important as a 21st century baby to be connected. It is equally important too that you get the address on gmail you want – helps if you were an early invitee like me or if you have an unusual name. 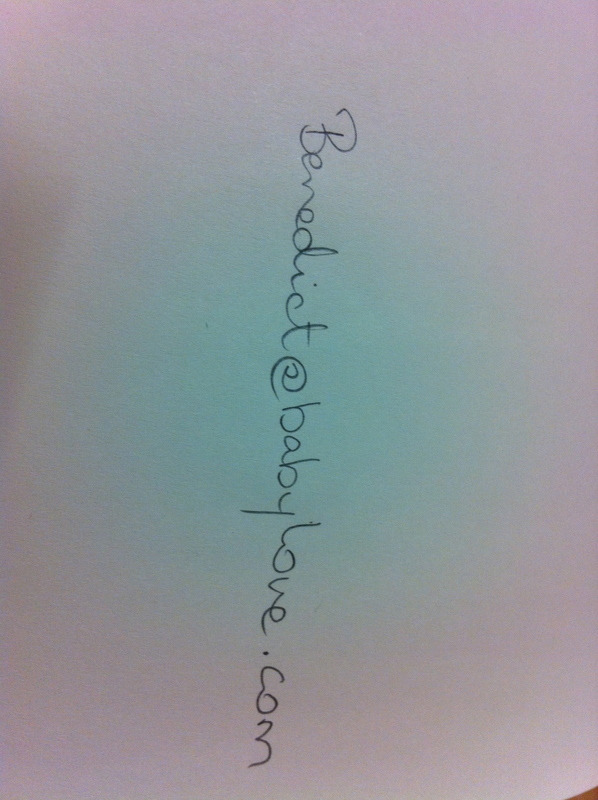 So you can email Benedict anytime you like. Benedict has been good at sitting since he turned four months but now he can sit and sit for up to half an hour. Steady and completely relaxed he just observes and passed his toys from hand to hand or hand to mouth. Eventually his ideas will overreach his capacity and he will gently lean to one side and then move onto his hands and knees. We are laid low this week. 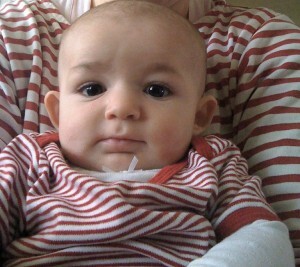 Benedict succumbed to his first cold on Friday and has been a snotty snuffly little baby since. Apart from Friday night which was rough on Robert – who rocked and shushed a lot while I gratefully slept on – Benedict has been mostly cheerful! Now of course I have the cold. Grrrr. I managed a sleep today after a round of yoga nidra – I did the short one and then didn’t turn off the CD – by the middle of the long one I was sound asleep. 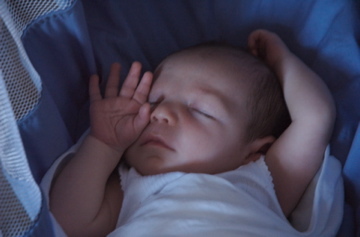 I woke 2 hours later to an awake baby lying quietly in his bed gazing at his new wall freeze and smiling. Sweet! I have learned the past five months to try not to lose my sense of humour. Babies and chaos and mayhem go together. It is important to just put on a clean shirt and solider on! (Of course, that is if you can find a clean shirt.) 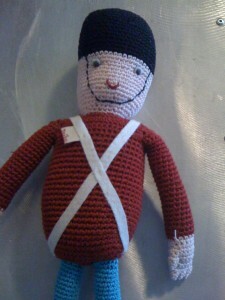 So while I sponged pumpkin puree off a soft toy soldier, I thought about how I once had a clean life. With Sylvie and I together there was hardly any mess and my cleaner in Sydney would occasionally run out of things to do. Now of course there is mess everywhere, in spite of my efforts to keep the place tidy, if not clean. I remembered also that there were nights at home in Sydney in my clean house with my neat cat, when there was no one there to laugh at my jokes, no one to tease me or share my nice wine. There were times when I needed help and there wasn’t any. Now of course, I have help, wine and laughter. As well as a son. And pumpkiny toy soldiers. Since before Benedict was born, I’ve been looking at cots. I hated all of them. I searched and searched for a miracle; stylish, made out of actual timber, not too expensive cot. Alas. None showed themselves. I gave up. I researched hammock beds. Perfect. For the first five months of his life Benedict has been sleeping in his hammock. Many adult people would like one – including me. Even Ed thought it was cool and asked why Benedict was the one with all the cool stuff? This from a kid with three iPods! The hammock bed was great everything went along. And so I forgot about cots for a while and concentrated on other things. Benedict grew and grew and soon my back was creaking from lifting him in and out of the hammock. It’s tricky. It moves and now he is more agile when he throws his hands out he catches the sides – difficult to put him into bed if he is holding on to it! After another fruitless week of searching we finally came across this beauty! Thanks to Liz for recommending it and for letting Benedict copy Liam. Awaiting delivery as we speak! Big boy bed, here we come. I’ve had a subscription to the New Yorker since 2006. I love them. Often there have been periods where, due to their frequency of publication, I have had a couple of weeks pile up. OK so sometimes when I was really busy it may have been 6 or 8 weeks. Now below is a photo of the pile of unopened New Yorkers resting on the cross-bar of the bedside table. 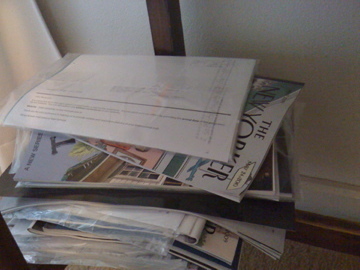 There are probably 15 magazines in the pile. There are a few that are optimistically opened but most of them are in their plastic. Even with the housework ban, it is hard to keep up! This is the sort of thing that people mean when they say things are different after they have children. I can still do the SMH quiz every Saturday, I still get the ‘Get It?’ every week, (that’s my litmus test to see if I’m losing my mind) but if I make it through the first couple of pages of Spectrum or the mag, I’m doing really really well. I started reading March of Patriots in February. I’ve read only 100 or so pages. The concentration required fails me. The interest is there; but fatigue beats me every time. I have finished a couple of books, at the expense of the New Yorkers. Things are different now. Five months – how time flies! Five months old today! Celebrated by sleeping in until 07-30am! Woo Hoo. Best sleep for weeks. The itchy and scratchy show seems to be coming under control and Benedict’s skin is looking and feeling like the gorgeous baby he is. The dermatologist consultation was very useful. We were on the right track but just not doing enough. 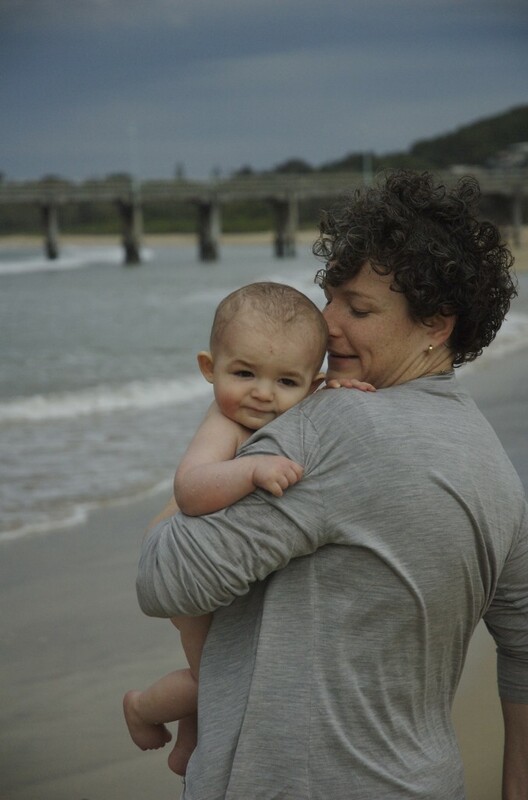 We were reassured and have the knowledge now to manage what is a mild case of eczema that will probably resolve by the end of his first year. Sleep has been much improved. Made an impromptu visit in to the office to say hello. Robert ran around showing Benedict off! I finally tracked him down in the arms of Louise, looking slightly fragile but ok. My earlier resolve to keep to the long middle of the day sleep has been blown out of the water this week, but it doesn’t really seem to be making a big difference. The past few months have flown by. Better remember to stop and admire the view a bit more, it’s rushing past! Drink from a glass? Give me something harder mama! 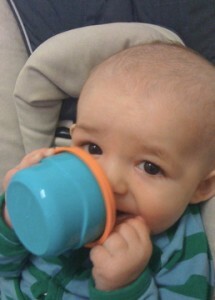 Sippy cups are for babies! Benedict has been interested in what we eat and drink for a few weeks. A couple of days ago he reached for a glass I was drinking from. To see what would happen I held it up to his lips. He immediately pursed his lips and drank a sip of water. No dribbling, no drips just drank it. Give me something harder to do mama! 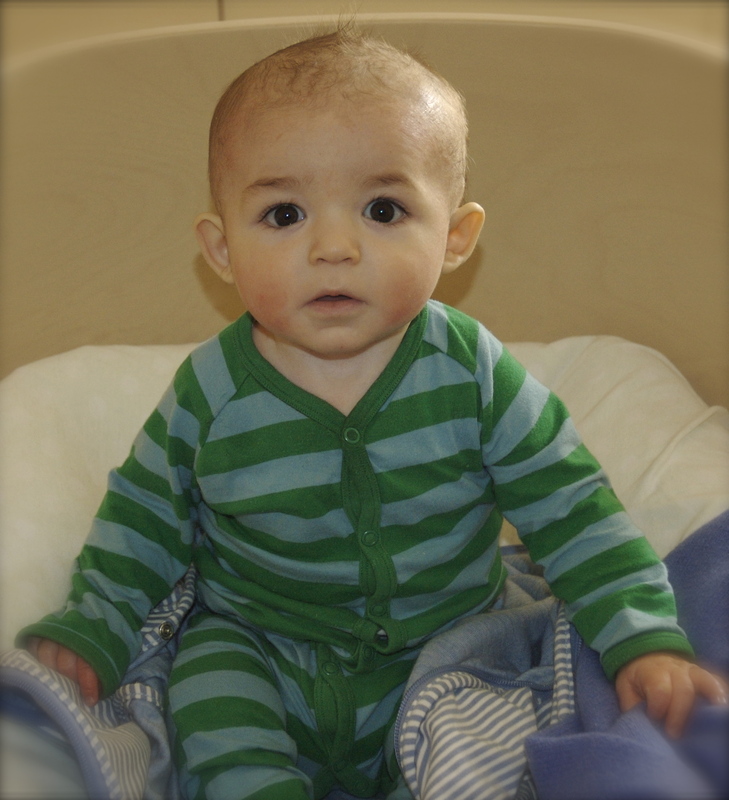 Am I ready for solids? I am constantly surprised by Benedict. While I am sitting around obsessing about what to do, he just very often takes charge and shows me what needs to be done. While I’m busy deciding what to do about solids and the potential risks of allergens and the issues to do with exacerbating his eczema and blah blah blah about six months of exclusive breastfeeding, Benedict one afternoon just quietly started sucking the oaty goodness out of the muslin bag from his bath! The idea of the oat bag is to assist his itchy skin. 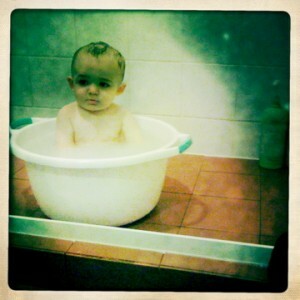 So after a while in the bath the little bag becomes just like porridge with the oat colloids oozing out. He clearly liked it.I went out and bought some Farex the next morning! Of course as soon as a spoon came toward his face, Benedict opened his mouth expectantly. 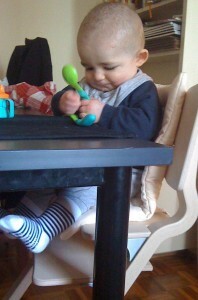 Just like his mama and his dadda, he loves his food! The housework ban and why I cannot cope! Almost two weeks ago my doctor banned me from housework. No mopping, no sweeping, no scrubbing. I am to eliminate repetitive movement of all kinds if at all possible. I have a repetitive strain injury to my right arm. I have an almost 8 kilogram baby who provides enough challenge to my arm. I know why I have this injury and I know how. By doing too much and by doing it too often. By lifting things that are too heavy. By shifting tonnes of dirt in the vegie garden, by myself. By incessantly cleaning the house before Benedict was born and after. It has taken years to develop to this point. I am profoundly right-handed and find it really difficult to alternate my hands or use the other arm. But back to the housework. I am, as I said, banned. So Robert has taken over. I should be glad. He’s prepared to do it. We might avoid the expense of a cleaner. So why am I so unaccepting? Why am I so critical? Why can’t I just leave it alone? Why?